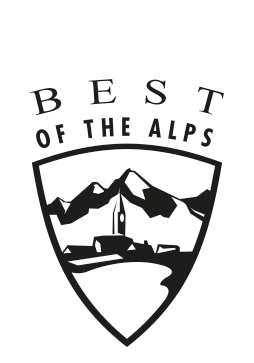 This year too the Arlberg region boasts a vast spectrum of fantastic events for young and old! The smell of freshly baked Christmas treats, gentle yuletide melodies that can be heard from afar, a glowing, twinkling sea of candlelight and, amidst this magical atmosphere, the sound of laughter and children’s eyes sparkling with joy … can you imagine anything more enchanting? Taking place on the four weekends during the lead-up to Christmas, the Magic of Advent in St. Anton am Arlberg invites visitors and locals, both young and old, to enjoy the most enchanting time of the year, to escape the bustle and toils of everyday life and to soak up the captivating ambience. St. Anton am Arlberg has just made the annual season start even better! Visitors can look forward to a musical winter opening from 29th November to 2nd December 2018, with none other than Anastacia and Melanie C, as well as the launch of the new ski race 'Catch me if you can - The Race' as a special sporting highlight. This date is the set for the spectacular ‘Arlberg-Pass Krampus’ parade, a devilish, spine-chilling and ancient Tyrolean custom. Together with St. Nicholas, the first Krampus devils will be making their way through the village from 2.00 pm, while at 7.00 pm the impressive but truly fearsome ‘Krampalar’ with their deafeningly loud bells and horns stalk through the pedestrian zone before giving their dramatic ‘fiery’ performance – a veritably ‘infernal’ experience! Offering an enchanting repertoire of musical entertainment, the Wilten Boys’ Choir will be performing on 27th December 2018 here in St. Anton am Arlberg. Enjoy an evening of well-known classical works and traditional Alpine carols. Under the title ‘Schneetreiben – The Snow Must Go On’ the local tourism association, Arlberg Ski School, the Arlberg ski lift operating companies and Arlberg Ski Club’s New School Team will be presenting a spectacular ‘show on snow’ every week in the Karl Schranz Stadium. In the stadium, which was the race finishing area during the 2001 World Championships, spectators can enjoy a multimedia time-travel show through the history of skiing. The theme of the show is the development of skiing and technology over the decades. Classical music lovers are inspired at the New Year's concert on January 3rd, 2019 in the Championship Hall / ARLBERG-well.com. Feel-good weeks in January – it’s ladies’ time! Between 5th and 26th January 2019, female winter sport enthusiasts are very much in the limelight in St. Anton am Arlberg. All ladies staying in St. Anton, Pettneu, Flirsch and Strengen can pick up their personal copy of the ‘Ladies First Book’ as well as a small welcome present from the tourist office in St. Anton. The booklet contains numerous vouchers to use as you please; for example, for ‘ladies’ drinks’, for discounts in various restaurants and shops and for a wide choice of relaxation and spa options. With the Audi quattro Ski Cup, Audi makes the unique atmosphere of professional ski racing something for everyone to experience. The ‘New Orleans Meets Snow’ festival brings a dash of southern flair to St. Anton am Arlberg. Cool funk and blues rhythms can be heard at live concerts on the village streets and in many local establishments. Even up on the slopes they’ll be getting into the groove like there’s no tomorrow. A typical New Orleans marching band will also parade the streets of our Tyrolean holiday resort.